More than 32 years ago the editor of the Knockout magazine, Reg Haswell, described the fight between Gerrie Coetzee and Kallie Knoetze as probably the best heavyweight fight ever seen in South Africa. Coetzee and Knoetze fought each other six times when they were amateurs. They first met when Coetzee was 15 and Knoetze was 17. Knoetze won their first fight and Coetzee the second. A year later Knoetze won the third and in April 1973 won on a split decision in the final of the SA Games in Pretoria. As an 18-year-old, Coetzee knocked out Knoetze in the third round of the final at the SA championships in Cape Town. Two months later, in Pretoria, he again knocked out Knoetze. They met only once as professionals on October 30, 1976, at the Rand Stadium in Johannesburg. Coetzee won on points over ten rounds in a non-title fight. Going into the fight the 22-year-old Coetzee was having his 14th fight, having won all the previous 13 and Knoetze, 23, was having his eighth fight, with his only loss coming in his last fight when he was disqualified against Raul Gorosito. On August 16, 1976, prior to their meeting, Coetzee won the SA heavyweight title from Mike Schutte on a sixth-round disqualification in a foul-filled fight. At the Rand Stadium in Johannesburg Knoetze lost the early rounds and was knocked down in the third round when he was caught with a left hook from Coetzee and by the halfway stage was clearly behind. He came on strongly in the second half of the fight as Coetzee began tire, but was warned on two occasions for kidney punches and once for butting with the head by referee Stan Christodoulou. 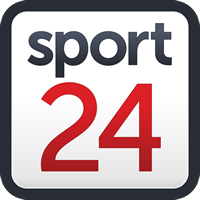 There was much controversy after the result was announced in favour of Coetzee, as many at ringside were of the opinion that Knoetze should have gotten the decision. On October 20, 1979, at the Loftus Versfeld rugby ground in Pretoria, Coetzee was beaten on points over 15 rounds by John Tate in a clash for the vacant WBA heavyweight title. He had a second crack at trying to win the WBA heavyweight title but was stopped in the 13th round by Mike Weaver at Sun City. Then, on September 23, 1983, in what was a historic night in South African boxing, he knocked out Michael Dokes in the tenth round at the Richfield Coliseum, in Richfield, Ohio, USA, to win the WBA heavyweight title.